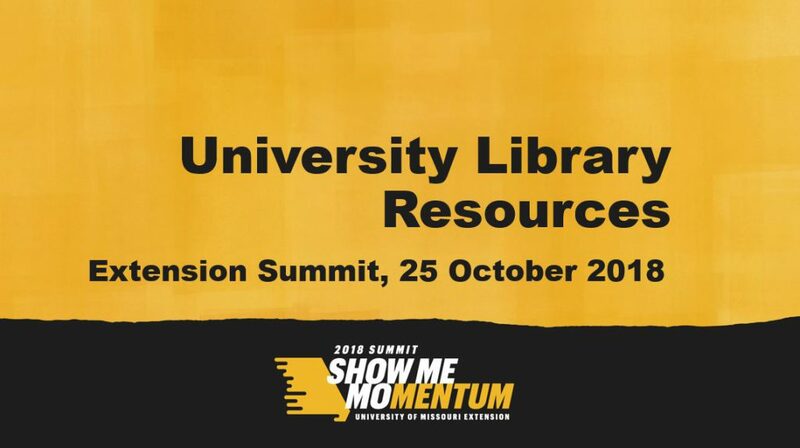 Did you attend the MU Extension Summit? The University Libraries gave a presentation on resources available for MU Extension. In case you missed it, the slides and handout are below. As always, if you have any questions, ask a librarian!